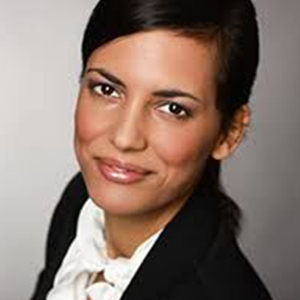 Sonja Jost is inventor, cofounder, and CEO of DexLeChem GmbH, a green chemistry startup. She was chosen to speak at UNIDO and the international political ͞Bled Strategic Forum͟: ͞In light of her innovative approach to leadership and a clear vision on how to rise above the challenges.͟ In 2015, she received the Victress Award for her work as innovator. EditionF,Handelsblatt, and ZEIT online listed Sonja among ͞25 women who are changing our world͟. The ͞Capital͟ magazine listed her under the ͞TOP 40 under 40 entrepreneurs͟ and she was ranked top of the watchlist 2018 of Business Punk. She gives advice to industry, NGO’s, and different political parties and is a frequent guest on political/ economic panel discussions. Since 2017 Sonja is board member of the German Startups Association. She is a Supervisory Board Member of the Berlin Institute of Health und Jury Member of the European Commission Innovation Council.